Welcome to Happily Ever Parties of Nebraksa! Please fill out the CONTACT FORM if you would like to book an event, or send an email. Prices listed are for parties that are physically located in or near the Chicago area. Extra costs for mileage may apply, for parties that are outside of this area. 2 Characters - 30 Minute Meet & Greet - $250 Total plus tips. $150 down payment/booking deposit plus $50 in cash to each character, ($100 cash total) at the event. Tips appreciated. (No supplies or activities are included, Character just drops by & interacts with the kids, poses for photos & etc. 1 Character for 1 hour $150 total plus tips. $100 down payment/booking deposit plus $50 in cash to character at event. Tips appreciated. (45 minutes is the same rate as 1 hour). 1 Character for 1-1/2 hours $175 total plus tips. $100 down payment/booking deposit plus $75 in cash to character at event. Tips appreciated. 1 Character 2 hours $200 total plus tips. $100 down payment/booking deposit plus $100 in cash to character at event. Tips appreciated. 1 Character for 2-1/2 hours $225 total plus tips. $100 down payment/booking deposit plus $125 in cash to character at event. Tips appreciated. 1 Character for 3 hours $275 total plus tips. $125 down payment/booking deposit plus $150in cash to character at events. Tips appreciated. Your costume character visit of 1 hour or more can include your choice(s) of some of these activities (as time permits): Light face painting, simple balloon twisting, temporary tattoos, reading a story book, a princess singalong, dancing, limbo game, and/or light age-appropriate make-up. The activities that can fit into your event will depend on the length of time you have booked your character and the number of children at the party. Please note that light face painting takes approximately 5 minutes, per face; plan accordingly. There may be additional charges for supplies, if there are more than 50 children at your event. has experience acting for theater and film. She is a teacher and an experienced princess entertainer. Why Choose Happily Ever Parties & Entertainment? 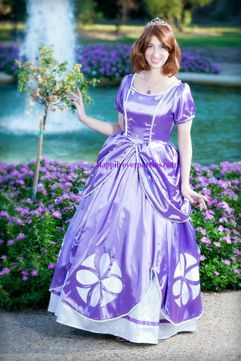 Happily Ever Parties & Entertainment has booked more than 1200 costume characters, while maintaining a 5-star average review rating.